It is often said that the office is a second home. This is especially so in Singapore, where long hours of work is a norm. A 2016 survey conducted by Roffey Park (a leadership institute based in Singapore and the UK) revealed that Singaporean employees spend even more time at work than their Hong Kong and China counterparts. Apart from that, the survey found that more than half of Singapore workers felt increasingly stressed over the last six months. These two factors – long work hours and high stress levels at the workplace – lead to an increased possibility of conflict at the workplace. This may explain why a 2012 online survey (conducted by JobsCentral) revealed that 24 per cent of Singaporean employees felt that they were victims of office bullying. It can also be sexual or non-sexual in nature. Sexual harassment may involve unwelcome physical contact or requests for such contact, sexually coloured remarks and showing obscene images to a colleague. In 2017, The New Paper reported on how a Mediacorp employee had made “inappropriate remarks” to a Channel NewsAsia producer, Ms Park Juwon. Specifically, he claimed that she could not be a presenter due to her lack of bodily assets. In addition, The Sunday Times interviewed women in the Singapore entertainment industry in 2017, and obtained many anecdotal accounts of sexual harassment by superiors. In this digital age, workplace bullying can even occur on digital platforms, in the form of cyber-bullying. For example, cyber-bullying can occur when a co-worker uploads compromising photos of a fellow worker onto Facebook, where everyone can see it. It can also involve spreading malicious falsehoods about a colleague via a blog post. This may be more serious than conventional forms of bullying, because information published online can reach a wide audience, and can go viral easily. Such information can also be difficult to remove completely from the Internet. As a victim of workplace bullying, what legal remedies can you seek? The remedies that you have would depend on the severity of the workplace bullying. Here is a quick guide to what options you have. If the workplace bullying involves physical abuse, the perpetrator may face civil or criminal action, or both. If the workplace bullying is serious enough to constitute harassment under the Protection from Harassment Act, Cap 256A (“POHA”), the perpetrator may similarly be faced with a criminal or civil case, or both. If workplace bullying results in defamation, a criminal or civil case, or both can be sought as a remedy. 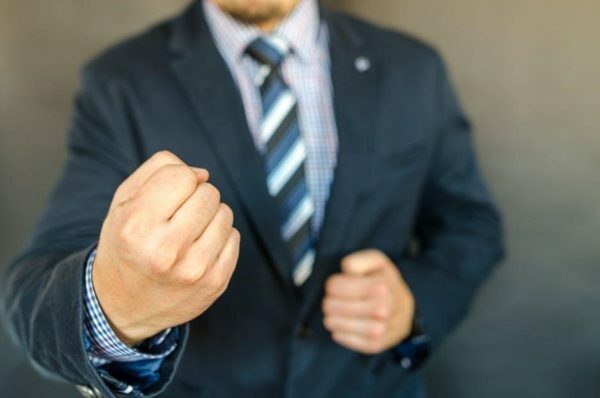 If the workplace bullying is less serious than harassment as defined under POHA, the victim may not have a direct legal recourse against the bully, and may have to explore alternative options. We will now explore the range of remedies that are available to victims in these three situations. A successful criminal prosecution may result in monetary compensation to the victim (in accordance with Section 359 of the Criminal Procedure Code) and ensures that the offender is duly punished for his extreme form of bullying. Should the victim report the case to the police, the Prosecution may decide to charge the offender under the Penal Code (Cap 224) (“PC”). Potentially relevant sections include: Voluntarily causing hurt (section 321), wrongful confinement (section 340), criminal force (section 350), assault (section 351), and criminal intimidation (section 503). Section 352 PC (Using assault or criminal force) Assault occurs if a bully makes any gesture, knowing that it is likely to cause the victim to apprehend the use of criminal force. •	Knows that it is likely to cause injury, fear or annoyance to the victim. The sentencing range may be increased, depending on the severity of the threat. The general exception in s 95 PC should be noted – if the harm is so slight that a person of ordinary sense and temper would not complain of it, the bully would not have committed a criminal offence. The victim may also commence a civil suit against the bully for battery. The two main relevant causes of action would be the tort of battery and the tort of assault. The tort of battery occurs when there is direct physical contact between the bully and the victim, which is intended by the bully. Furthermore, such physical contact must be unjustified – meaning that such contact must not be generally acceptable in the ordinary conduct of daily life (Wainwright v Home Office  2 AC 406, at ). Notably, if the bully throws an object at the victim, this still counts as direct contact. Even if the victim does not suffer any physical harm from the contact, he or she can still sue for the tort of battery (Cole v Turner  6 Mod Rep 149). However, practically speaking, the victim would only be able to recover nominal damages in such situations, which may not be worthwhile. Conversely, if the victim did suffer substantial injuries from the battery, he or she would be able to claim for a greater quantum of damages from the bully. The tort of assault occurs when the bully commits an act which causes the victim to reasonably apprehend the affliction of immediate, unlawful force on him. The bully must have intended to cause such apprehension on the victim’s part. Unlike the tort of battery, no direct physical contact is required to establish the tort of assault. If no physical harm is suffered, the victim may attempt to seek compensation for emotional and psychological harm that is suffered. However, such damages are generally hard to prove and quantify, and may result in only nominal damages being awarded. The victim is likely to obtain a higher chance of recompense if he has indeed suffered some form of physical harm as well. According to case law, harassment essentially occurs when a person exhibits verbal or non-verbal conduct that is determined and calculated to be threatening, abusive or insulting towards another person, such that it is likely to cause the latter distress and alarm when he or she perceives it. 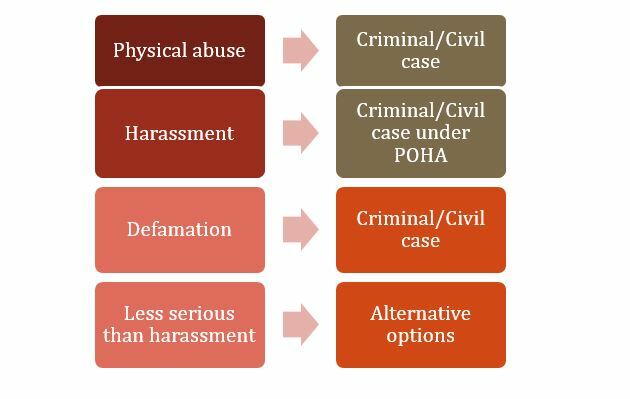 POHA is intended to strengthen harassment laws in Singapore, and captures a variety of harassment behaviours – be it blatant or subtle, sexual or non-sexual, and even online behaviour. As a victim of bullying, you will likely have a remedy based on s. 3, 4, 5 or 7 of POHA. The table below breaks down each section. Section 3 focuses on the bully’s intention. • For example, if X shouts insulting words about Y at the workplace, knowing that Y is close enough to hear it, X would have demonstrated an intention to harass Y. Importantly, unlike section 3, section 4 of POHA does not require the victim to prove the intention of the bully to harass. The victim does, however, need to prove the bully’s intention to perform the act. Once the victim establishes the above elements, it becomes the bully who has to prove that he either had no reason to believe that his words or behaviour would be heard or seen by the victim or that his conduct was reasonable. This is one key reason why section 4 POHA is a more accessible provision for the victim compared to section 3 POHA. This also explains why the sentencing range for an offender under section 4 POHA is less severe than that under section 3 POHA (see below under “Sections 3, 4, 5 and 7 POHA – Remedies). 1) X verbally threatens to beat up Y. X is notorious for having a violent disposition with previous antecedents of beating people up. 2) X sends Whatsapp messages to Y, threatening to set fire to Y’s house when Y’s family is at home. Section 5 is more specific than the previous provisions, as it focuses on the possibility of violence being used against the victim or another person. This explains the harsher criminal punishment compared to sections 3 and 4 POHA (see below under “Sections 3, 4, 5 and 7 POHA – Remedies). Unlike the previous sections, section 7 requires the bully to have engaged in a course of conduct. Ordinarily, this refers to the bully’s conduct on at least two occasions. However, a course of conduct can refer to conduct on one occasion, if the conduct is protracted. For example, X secretly plants a camera in Y’s apartment. The camera continuously transmits live videos of Y in her apartment, and X watches the video over several days. X’s conduct is protracted. • Likely effects of the course of conduct on the victim’s safety, health, reputation, economic position or freedom. This section will explore these available remedies for the victim. If the police chooses not to investigate the matter after the victim has made a police report, the victim has the option to file a Magistrate’s Complaint. The victim may seek to commence a civil case against the bully (s 11 POHA). The victim would have to adduce sufficient evidence to establish that it is on a balance of probabilities that the bully had breached the POHA. Such evidence may include photos or videos of the offending conduct. This is also subject to any defences which the bully may raise. If the victim succeeds, there are several options including (a) Monetary Compensation, (b) Protection order, (c) Expedited Protection Order and (d) Non-Publication Order. If the victim succeeds in establishing the case, he or she may claim monetary compensation for his or her alarm or distress as a result of the bully’s harassment. If the victim has sought medical treatment due to the harassment, he or she should retain the relevant medical records and invoices as proof for the claim. The victim may also seek a Protection Order against the bully (s 12 POHA). The court has the discretion to direct the bully to refrain from his or her offending conduct. Breach of a Protection Order would constitute contempt of court, and is also an offence under s 10 POHA. For urgent cases, the victim may seek an Expedited Protection Order against the bully (s 13 POHA). While this order is “expedited”, it will only take effect when served on the bully. An Expedited Protection Order is only for a limited time. For cases involving false statements of fact, the victim may also seek a Non-Publication Order against the bully under s 15 POHA. The court may order the bully not to publish the false statement anymore, unless the bully publishes a notification drawing attention to the falsehood. A breach of Non-Publication Order is contempt of court. The strength of your case may be affected if the bully can avail himself of a defence. This section briefly covers the possible defences which the bully may raise for each section. The bully has a defence if his conduct was reasonable (s 4(3)(b) POHA). In addition to that, he has another possible defence (s 4(3)(a) POHA) – that he had no reason to believe that his verbal or non-verbal conduct would be heard, seen or otherwise perceived by the victim. The bully’s defences here are similar to those under section 4 POHA, as discussed above. Firstly, the bully has a defence if his conduct was reasonable (s 5(3)(b) POHA). Secondly, he has a defence if he had no reason to believe that his verbal or non-verbal conduct would be heard, seen or otherwise perceived by the victim (s 5(3)(a) POHA). The second defence would be rarely invoked, at least for the usual cases involving workplace bullying. Thus, the bully’s main recourse would be to the first defence of reasonable course of conduct. Keeping records of any evidence of the harassment, if it is ongoing. This is because the case may eventually escalate to one that could constitute harassment under POHA, whereupon the victim can seek more effective redress. Workplace bullying is a serious phenomenon, with negative effects on both the employee and the organisation generally. No one should have to suffer in silence. Should you be facing such a predicament, you should know your rights and remedies, and explore the available options to prevent such incidents from continuing. Have a question about workplace bullying? If you have any questions, you can get a Quick Consult with Lau Kah Mei or other lawyers from a transparent, flat fee of S$49. You can expect a call back within 1-2 days on the phone to get legal advice and have your questions answered. This article is written by Lau Kah Mei from LKM Law Corporation and Chang Chee Jun from the Asian Law Students’ Association. 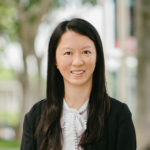 Lau Kah Mei is the Managing Director of LKM Law Corporation. She specialises in all aspects of contract, corporate and commercial law. Her practice area encompasses a wide spectrum of areas including merger and acquisitions, joint ventures, private equity, corporate finance, corporate governance and compliance, agency and distribution, licensing, immigration law, data protection law, technology law, employment law, drafting of wills, and lasting powers of attorney (LPA). Private Gambling in Singapore: Is It Legal? Governing Law & Contracts: Why You Should Never Forget It!